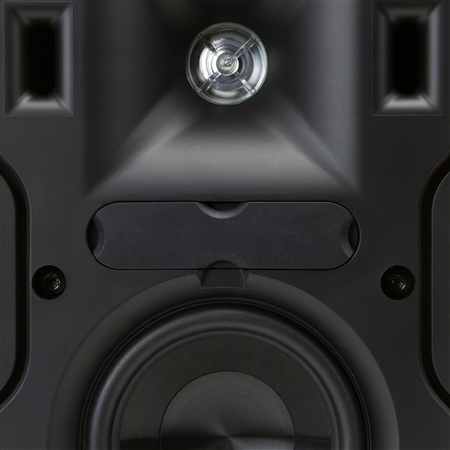 Whether you want to enjoy your favorite music by the pool, on the patio or in your yard, the AW-650 has what it takes to put you in a state somewhere between utter disbelief and sheer joy. 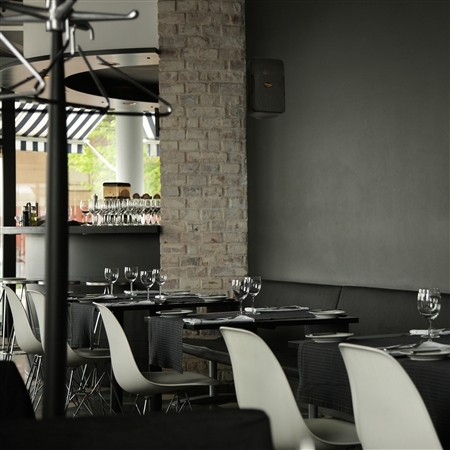 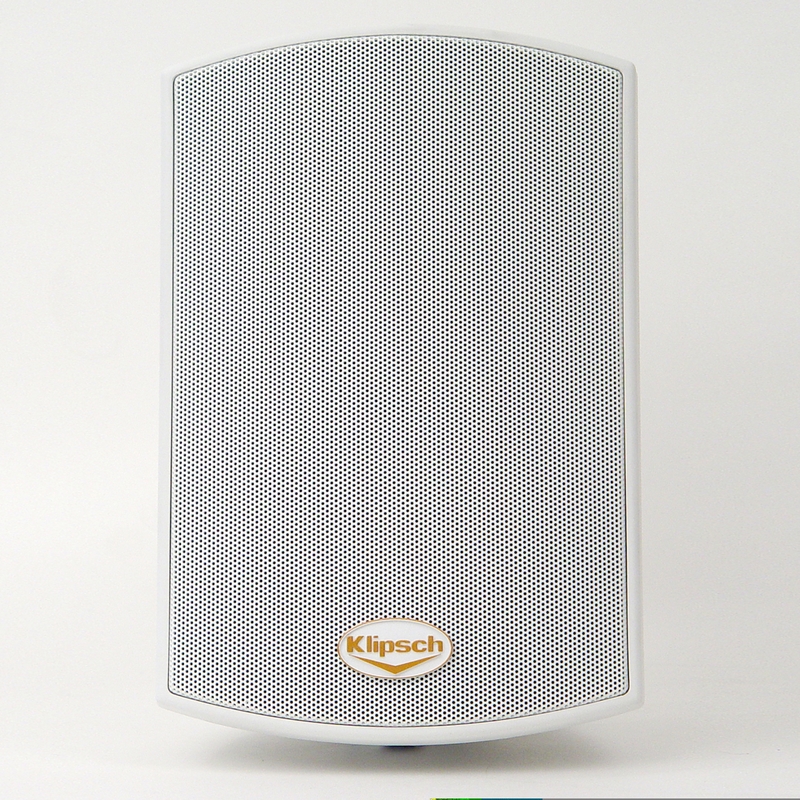 The AW-525 all-weather loudspeaker brings clean clear dynamic Klipsch quality performances to patios, terraces, balconies, gardens, or poolsides. 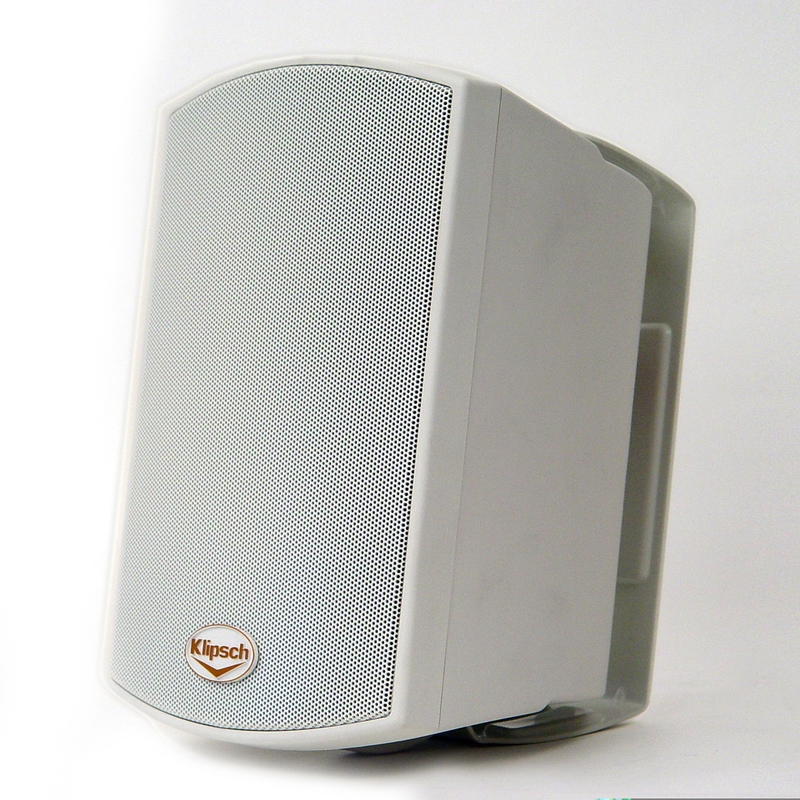 And because it's so efficient you get much more sound per watt enabling this full-range model to work well in wide-open spaces. 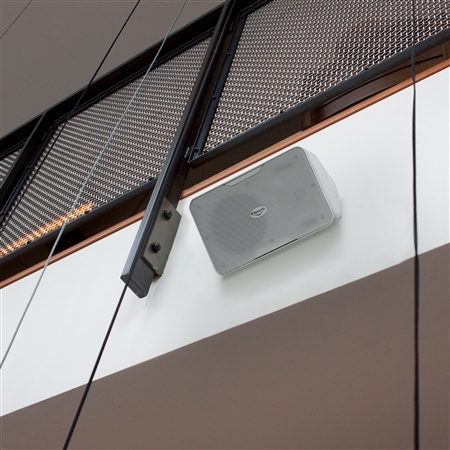 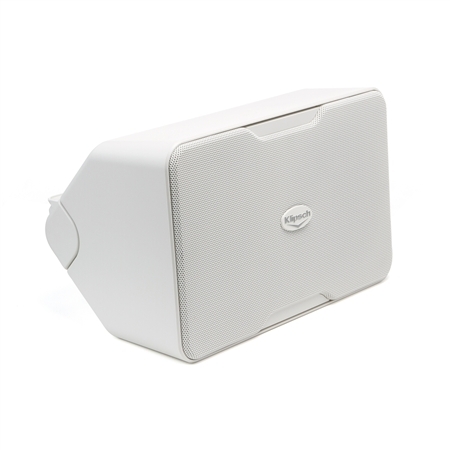 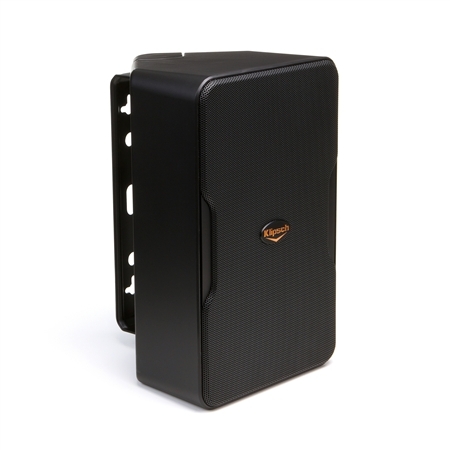 Easy to integrate into almost any outdoor environment the AW-500-SM selectable mono/stereo wide-coverage model brings powerful and dynamic Klipsch sound to a wide variety of challenging installation locations. 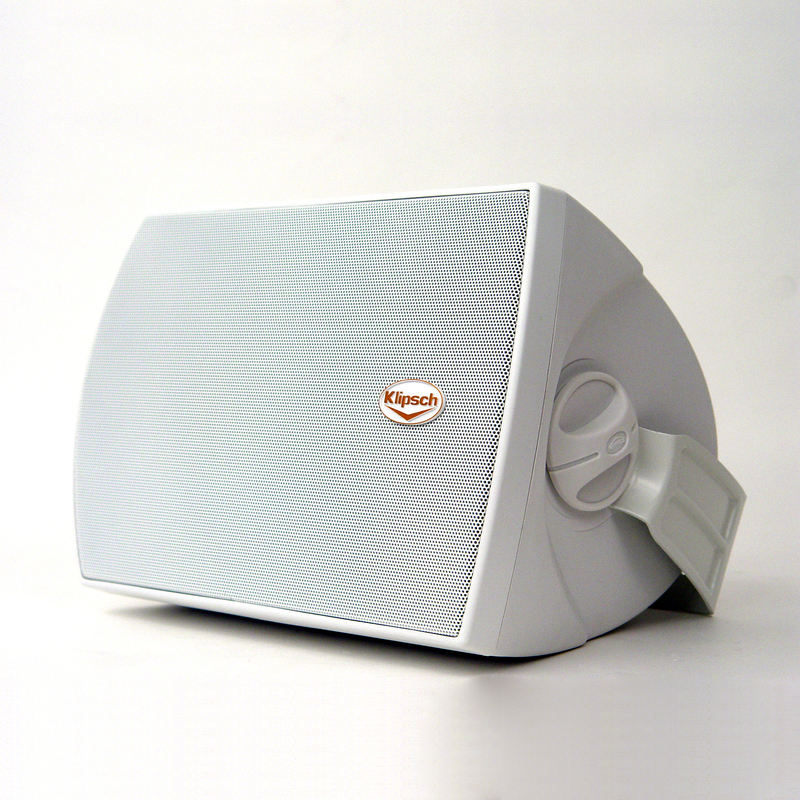 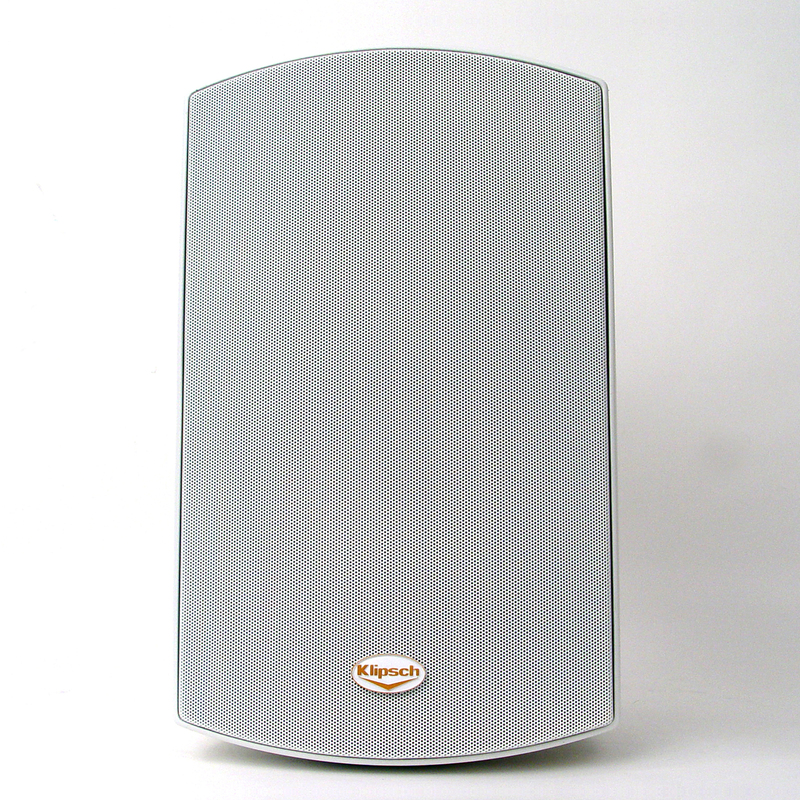 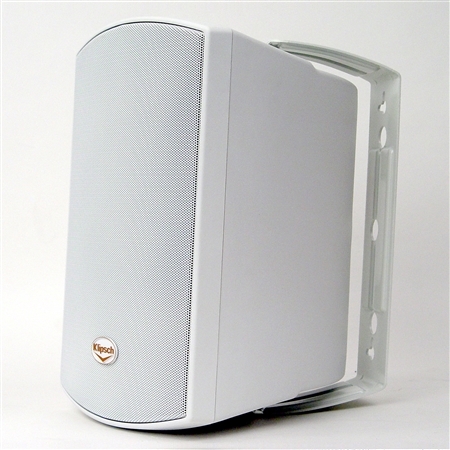 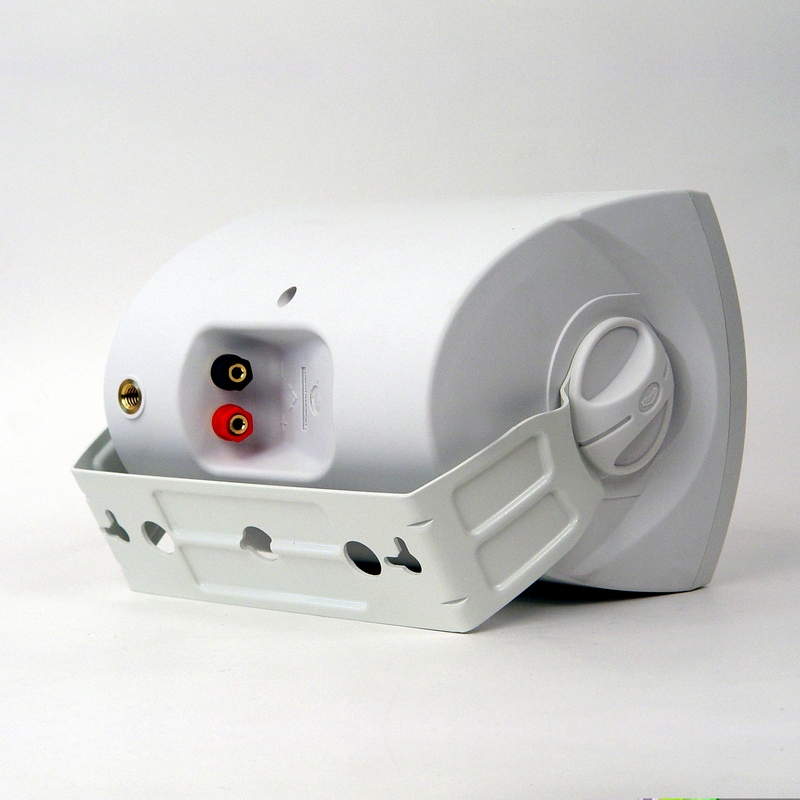 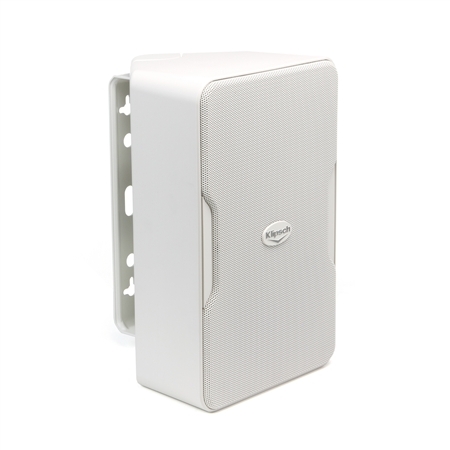 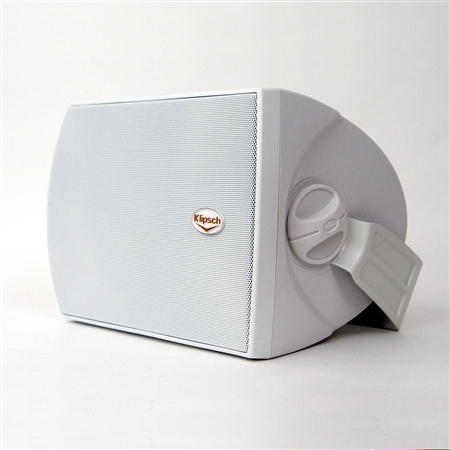 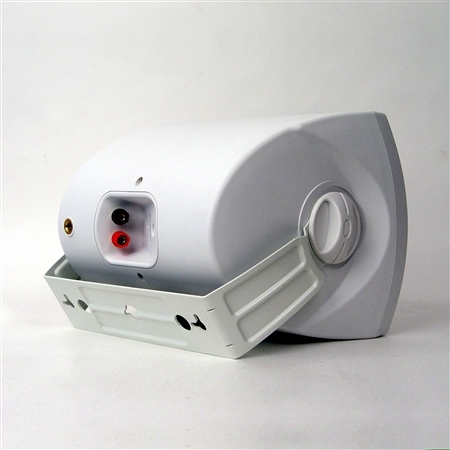 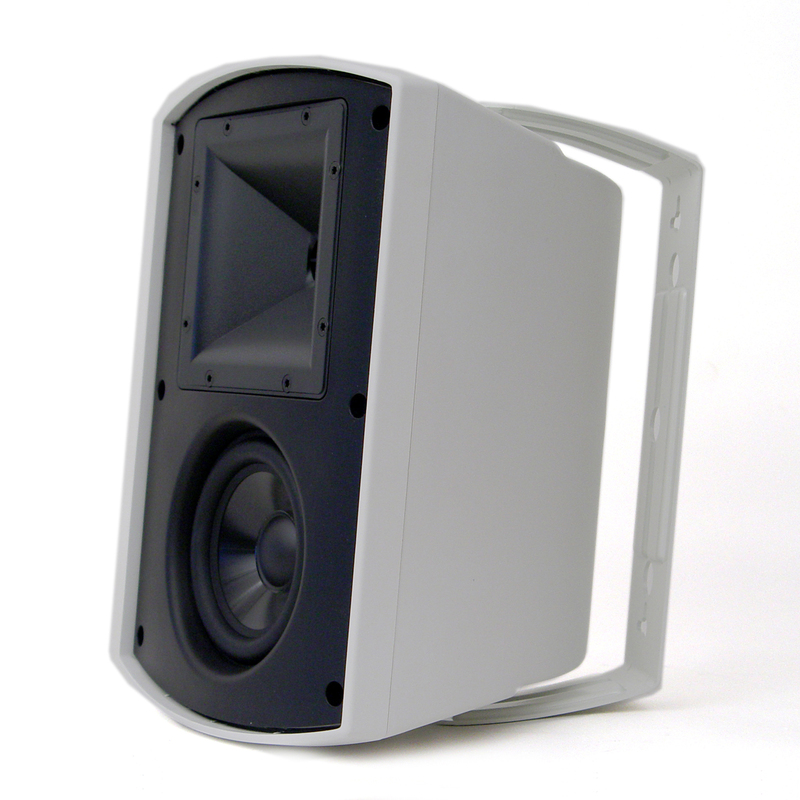 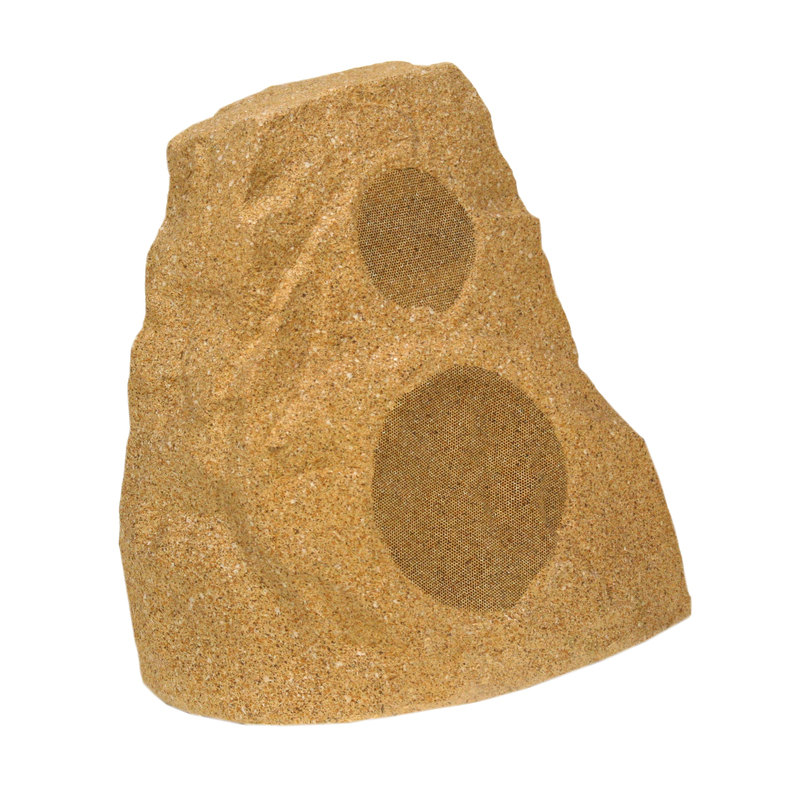 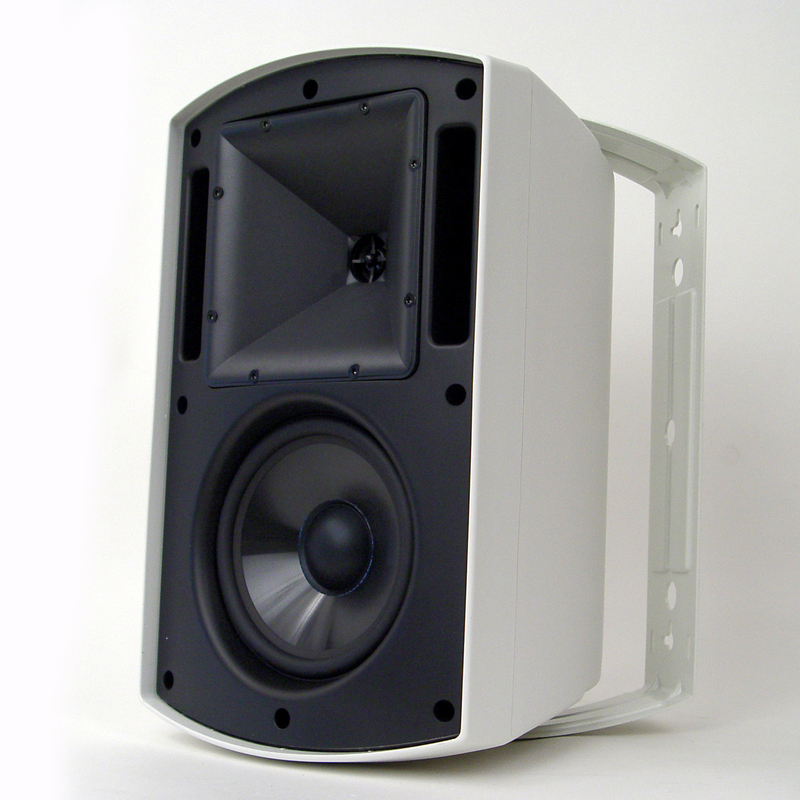 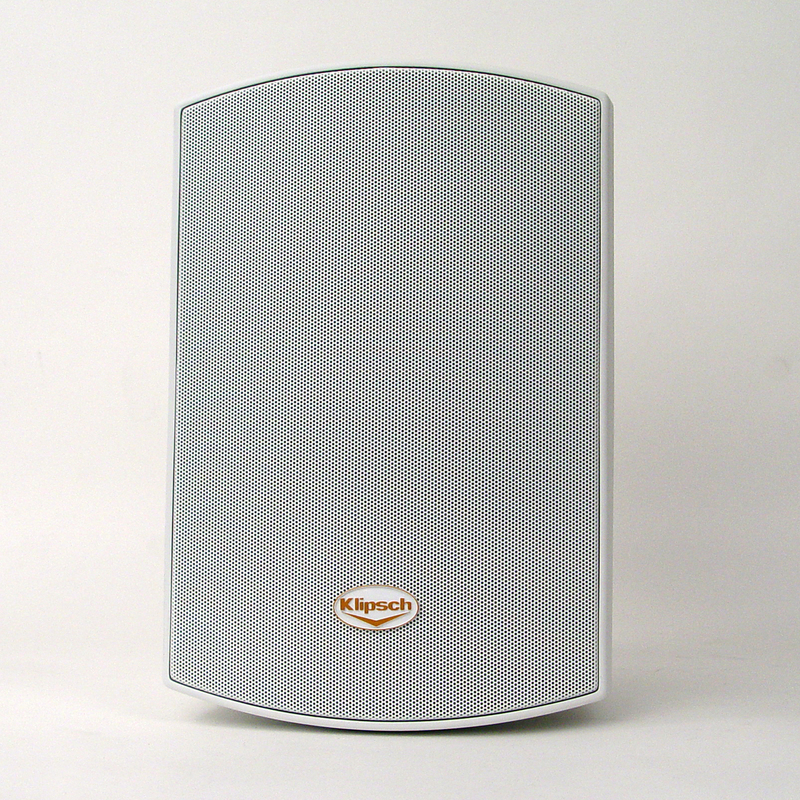 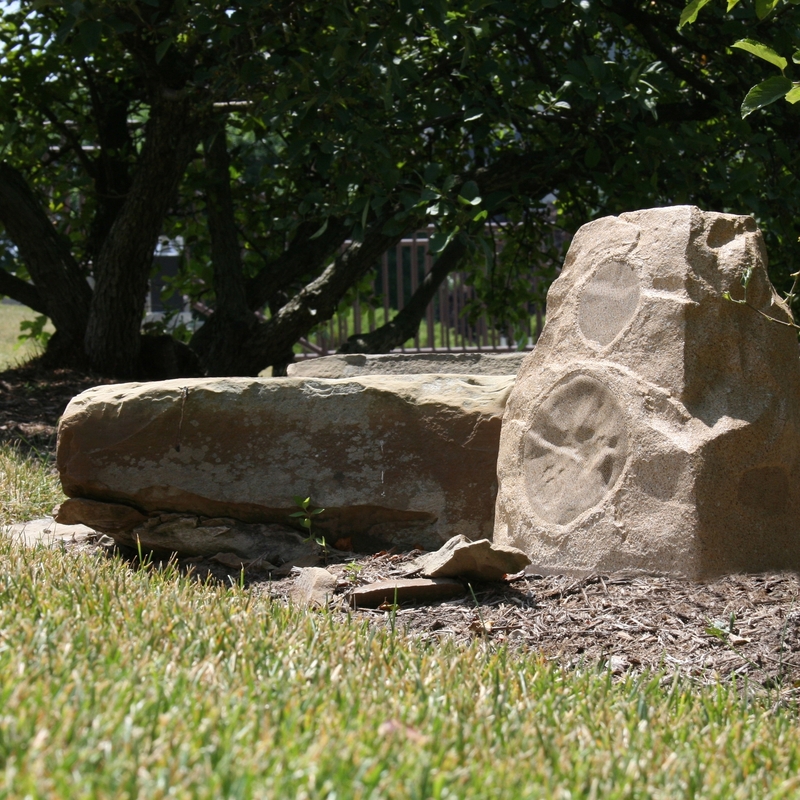 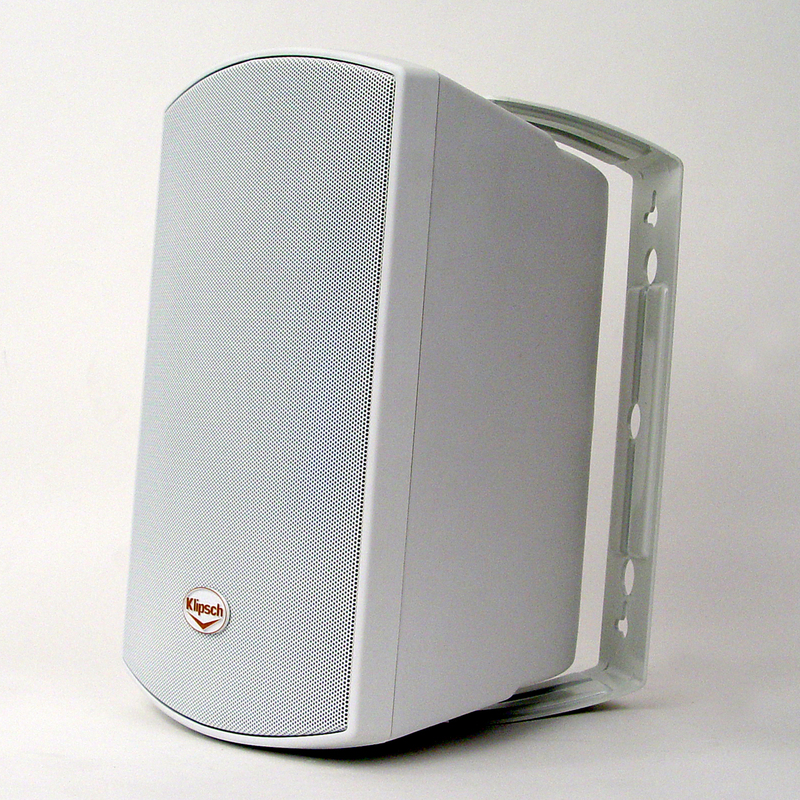 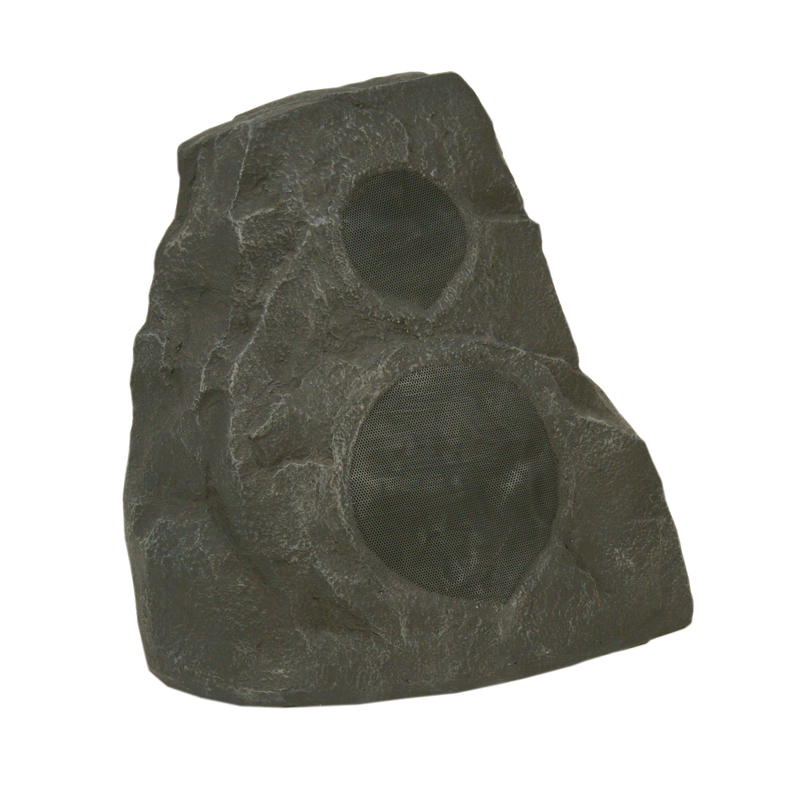 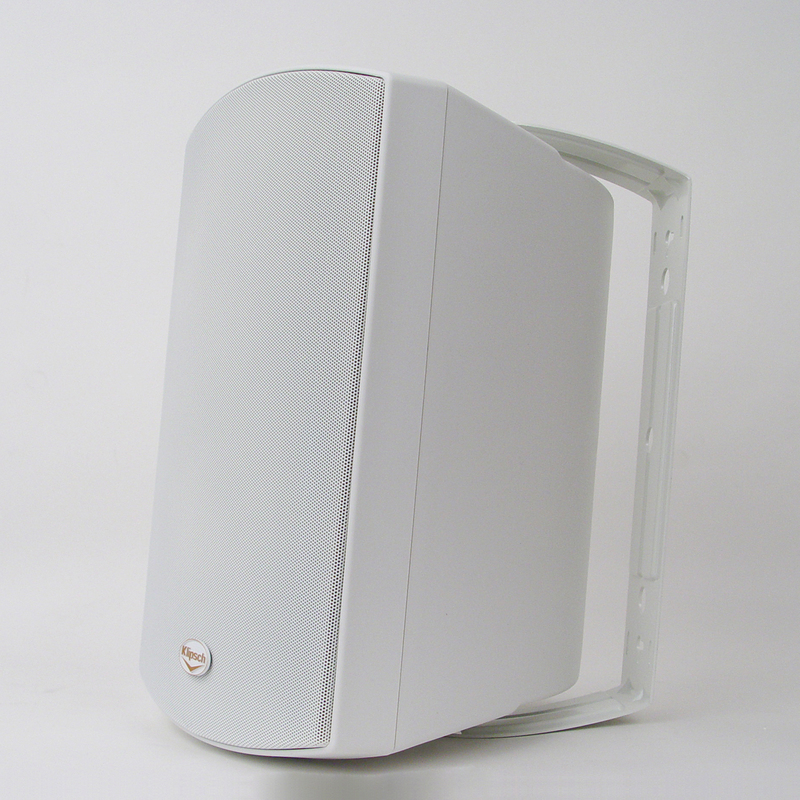 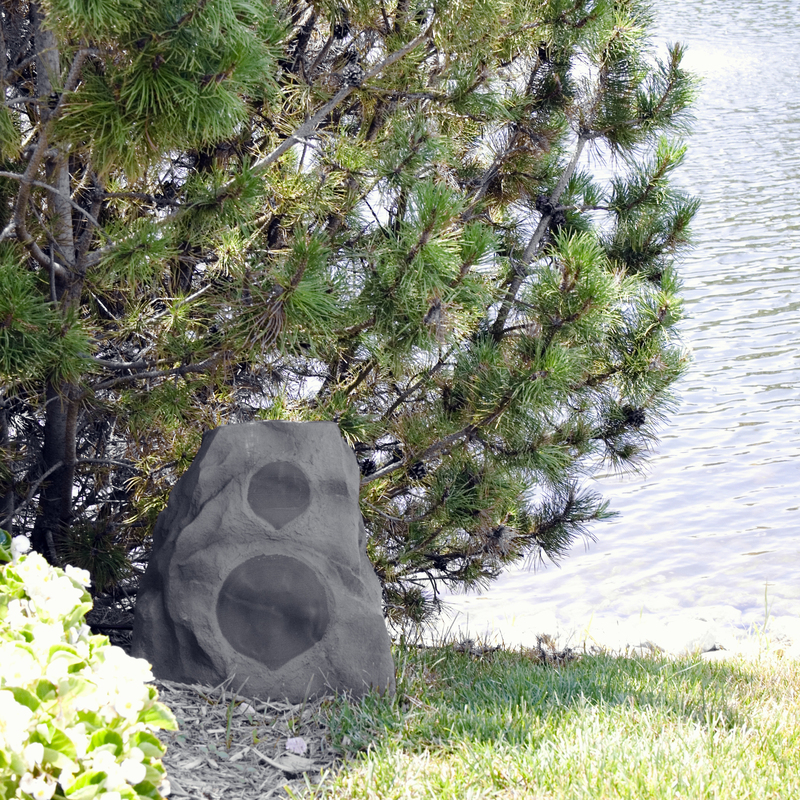 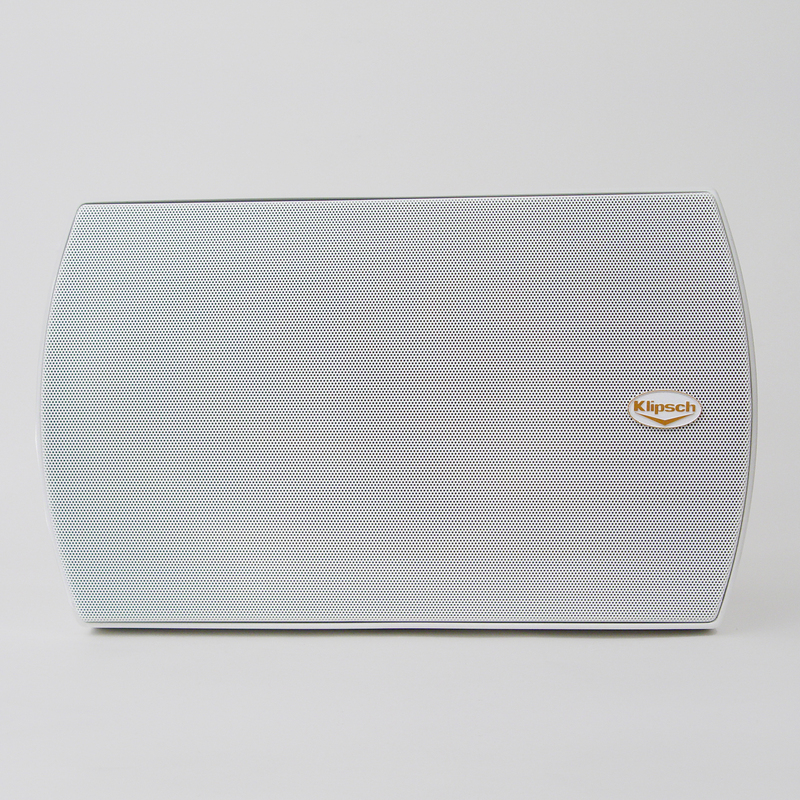 The AW-500 outdoor loudspeaker offers great sounding performances and year-round durability whatever the weather. 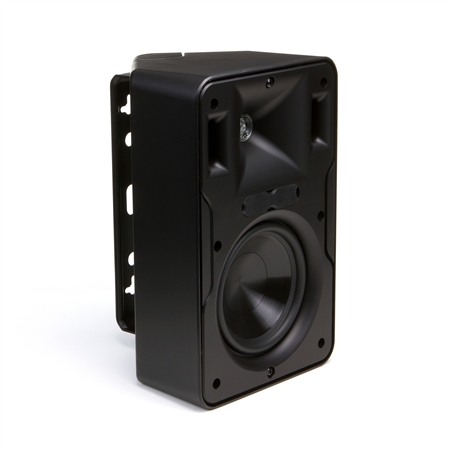 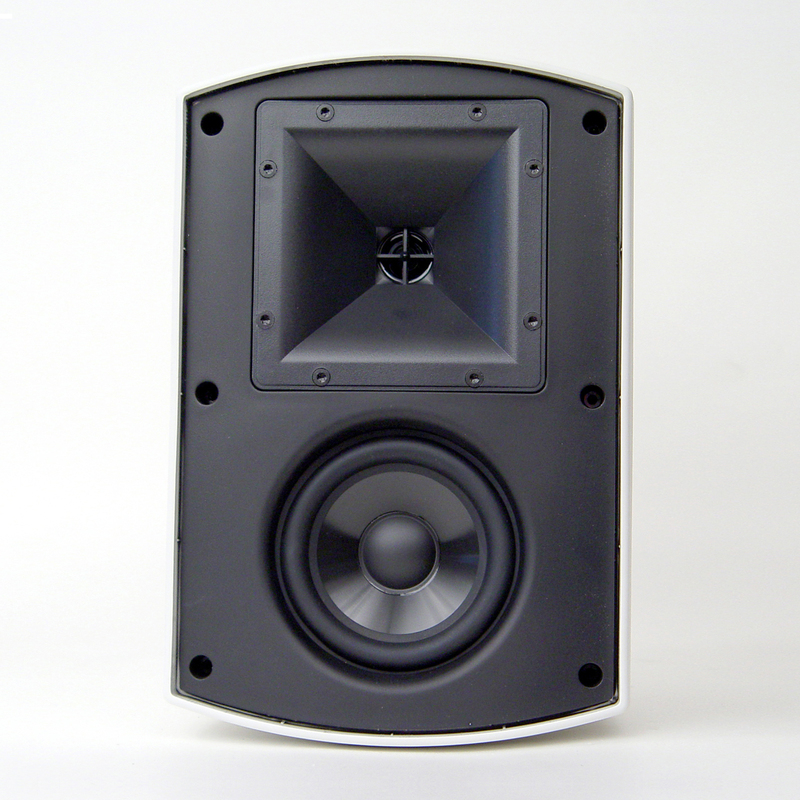 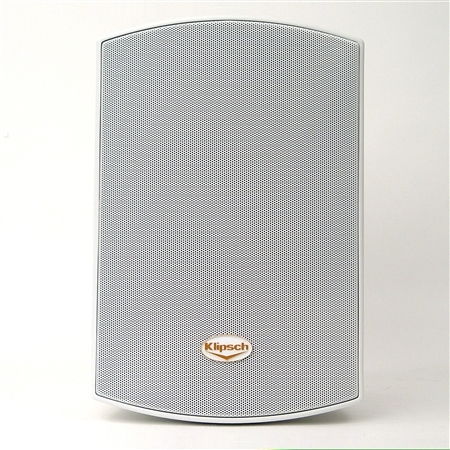 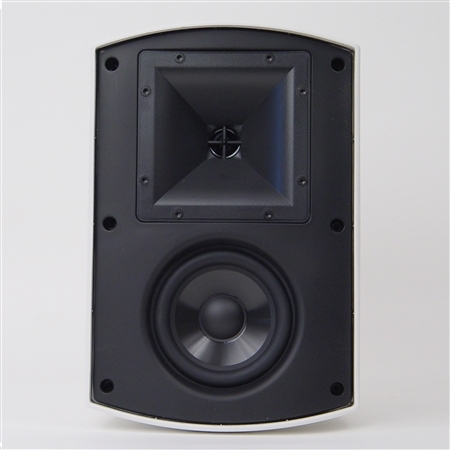 This full-range model can be mounted almost anywhere and still deliver clean clear dynamic Klipsch quality performances. 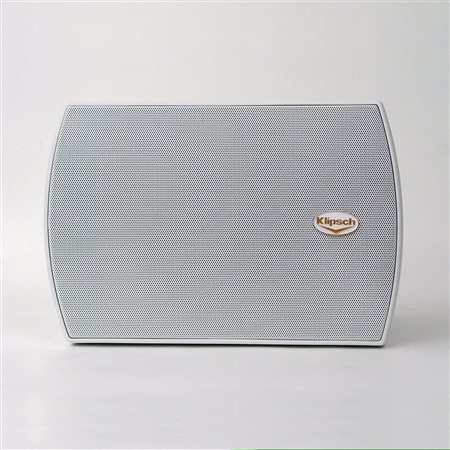 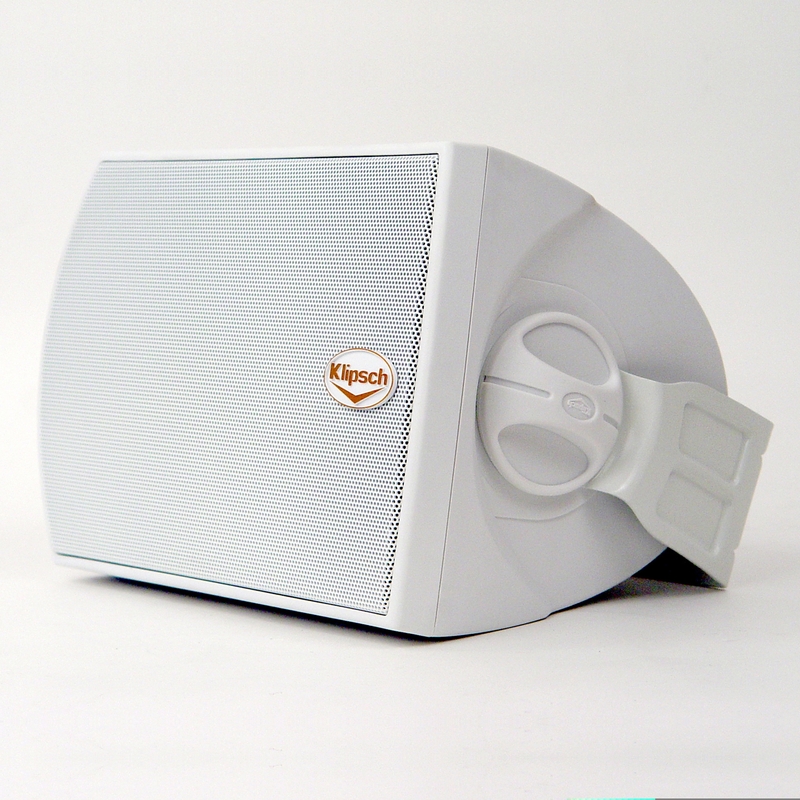 The compact and durable Klipsch AW-400 all-weather loudspeaker brings big time sound and worry-free performances to the great outdoors. 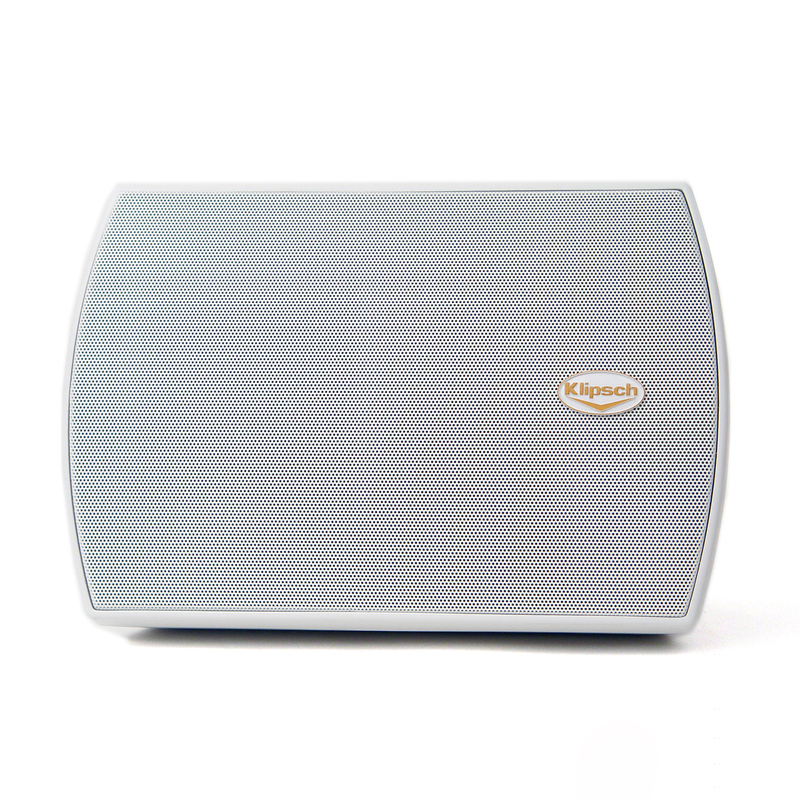 And because it's so efficient you get much more sound per watt enabling this full-range model to work well in wide-open spaces. 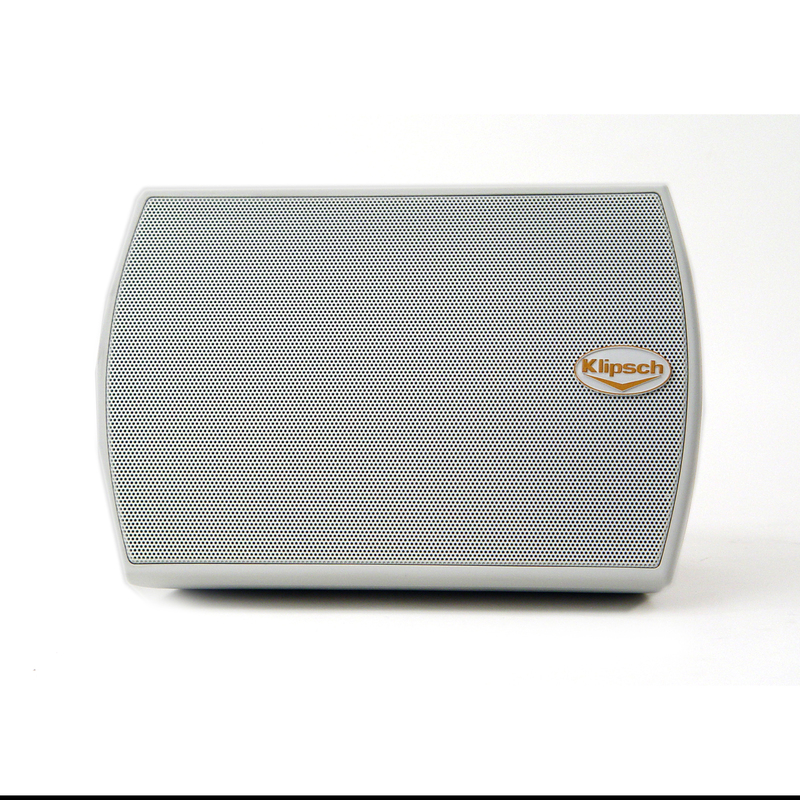 The Klipsch Compact Performance Series CP-6 is a versatile speaker that brings powerful musical sound quality wherever you desire, indoors or out. 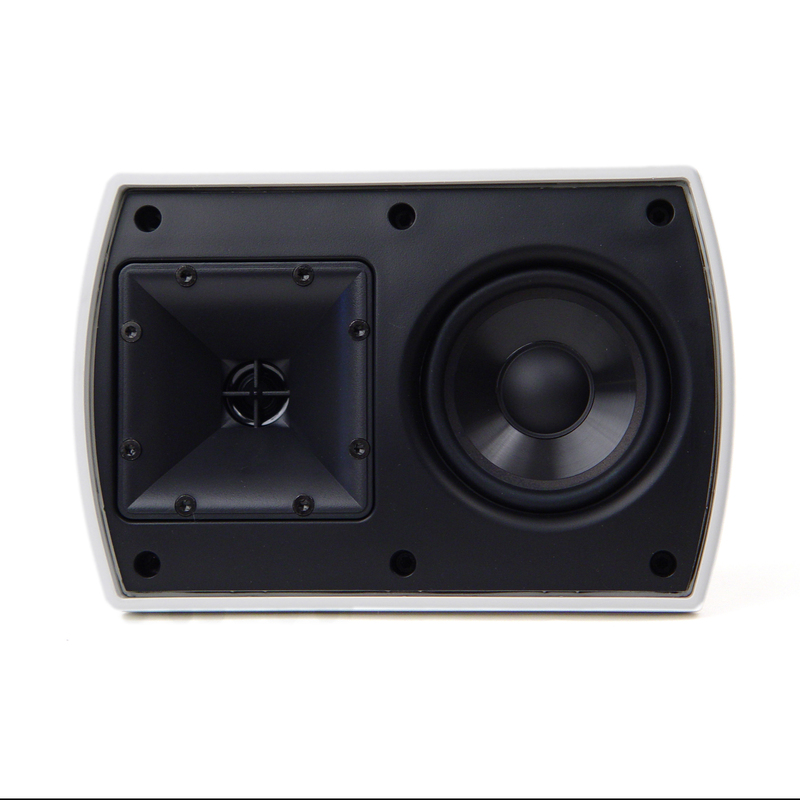 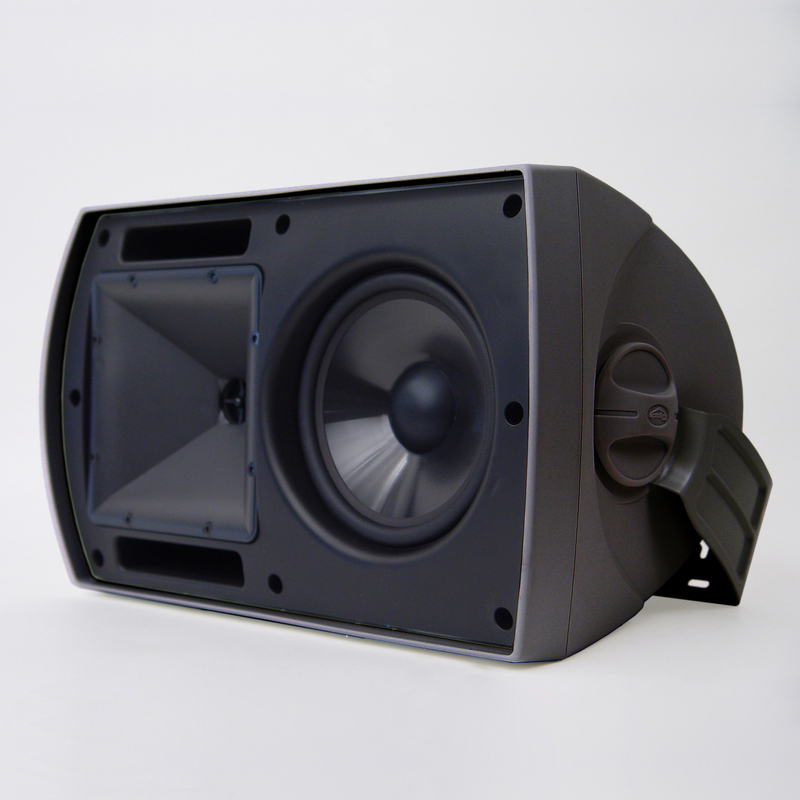 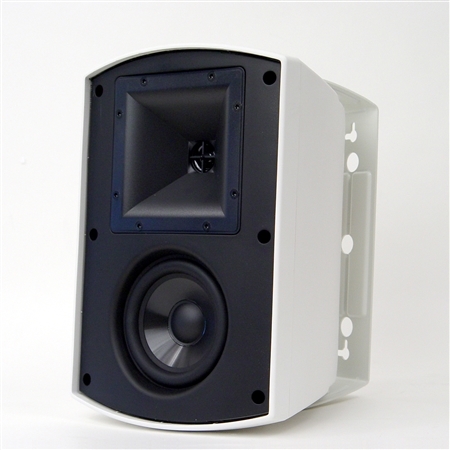 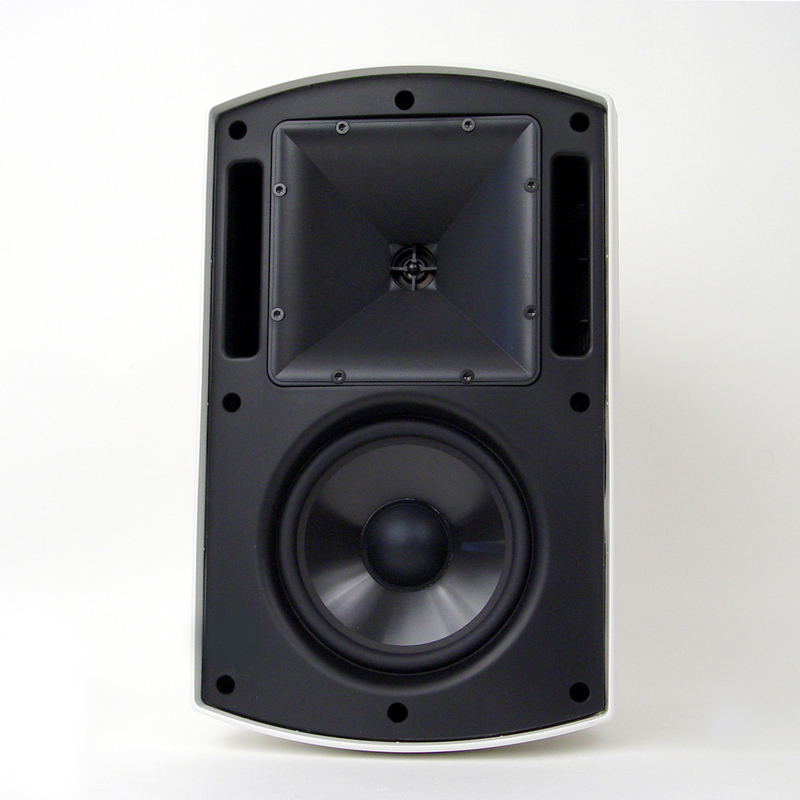 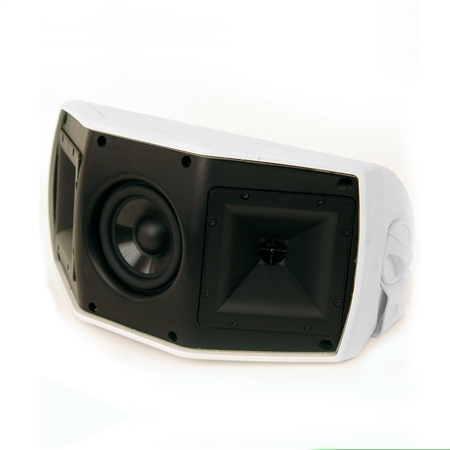 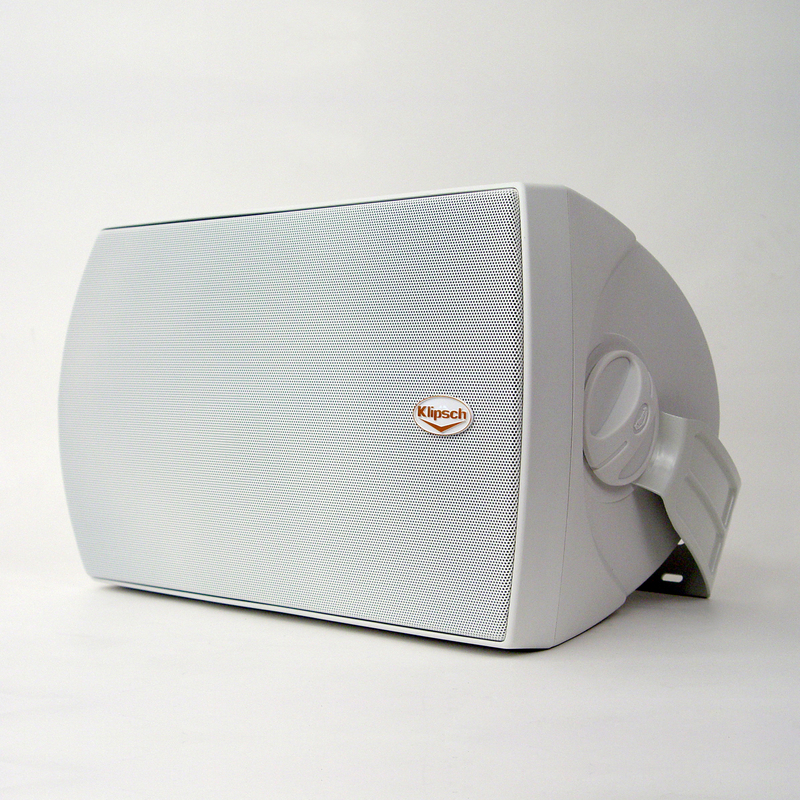 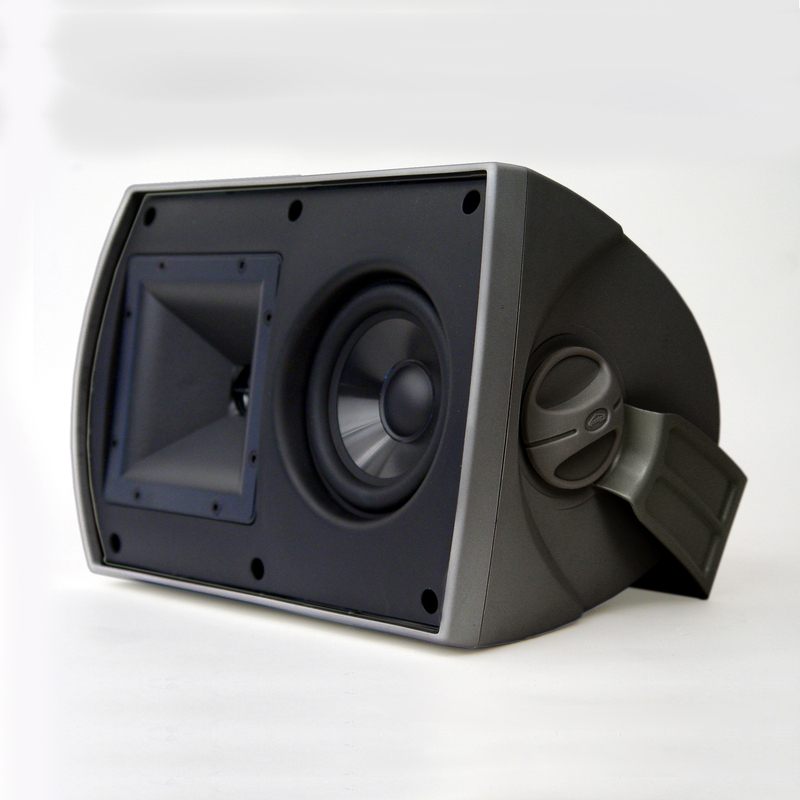 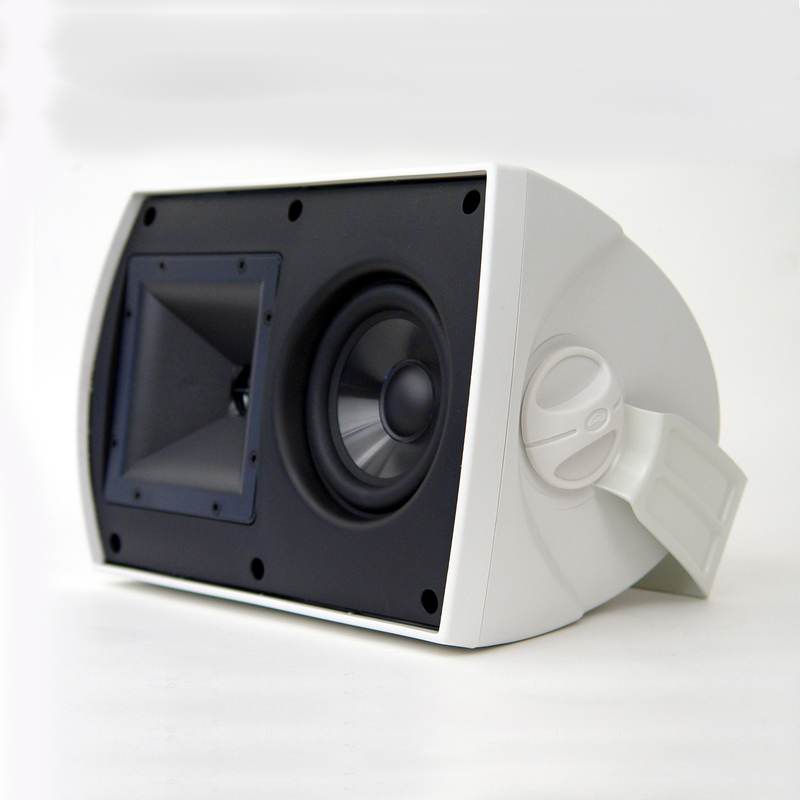 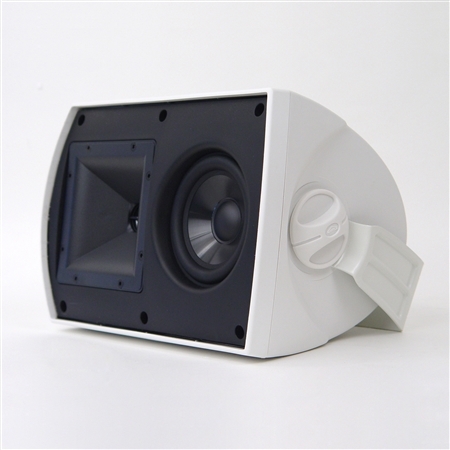 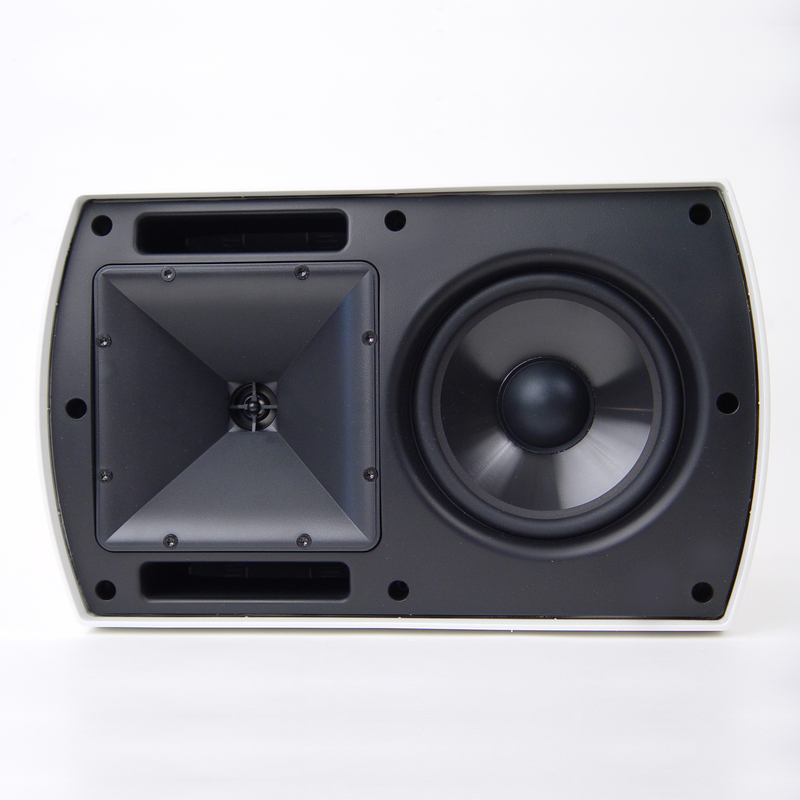 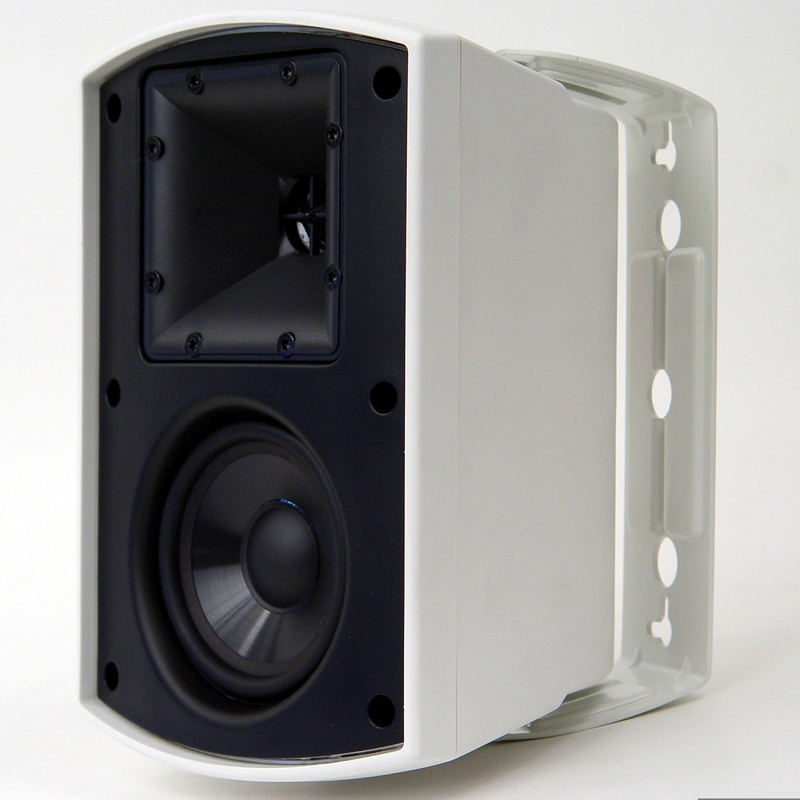 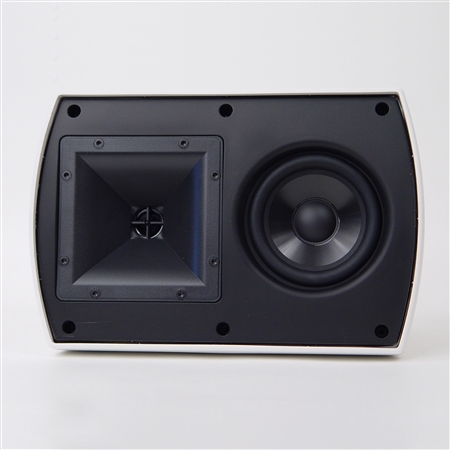 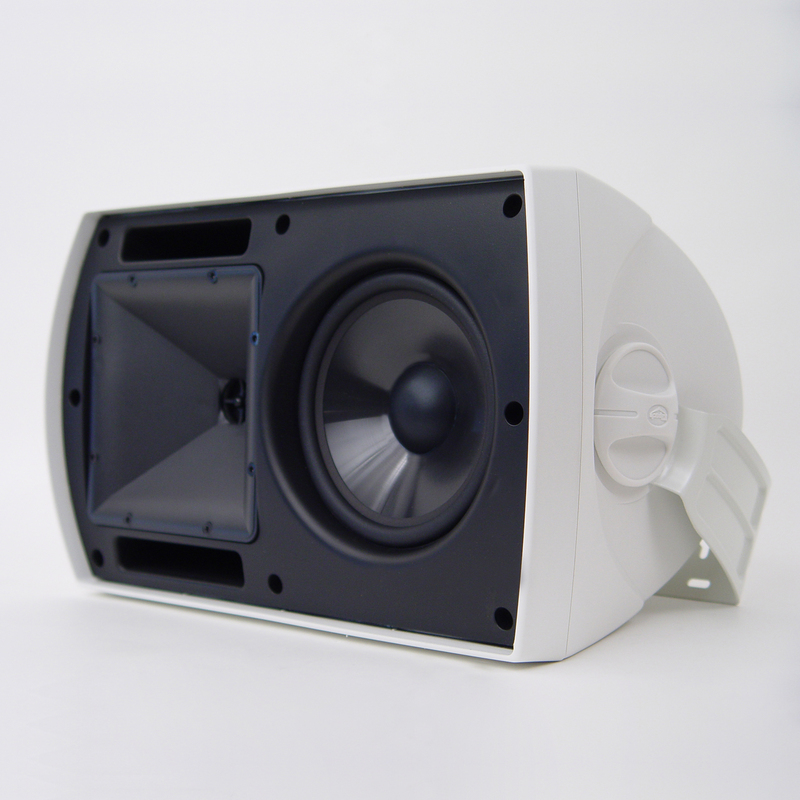 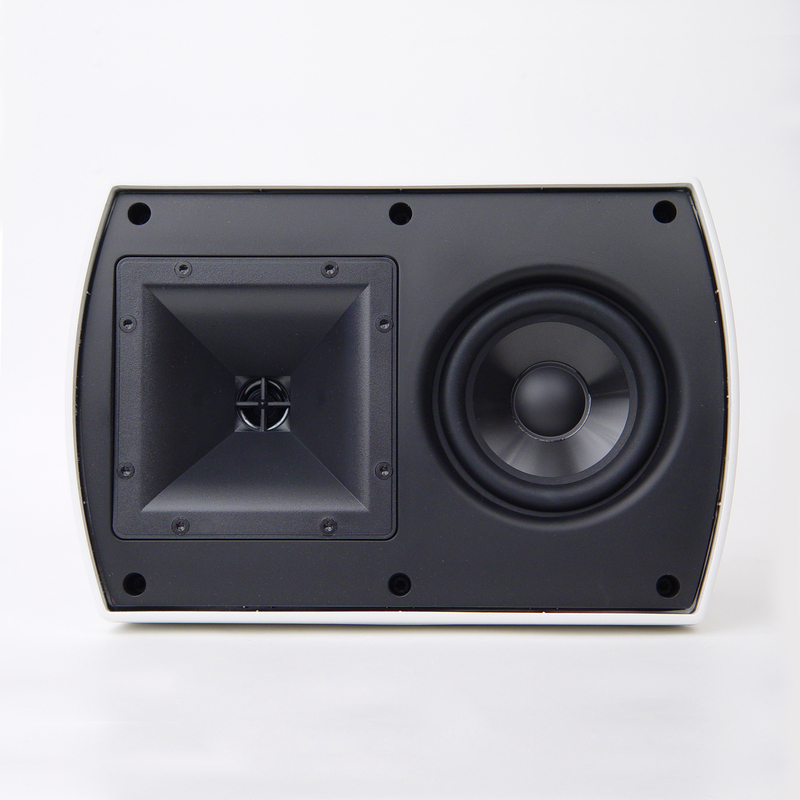 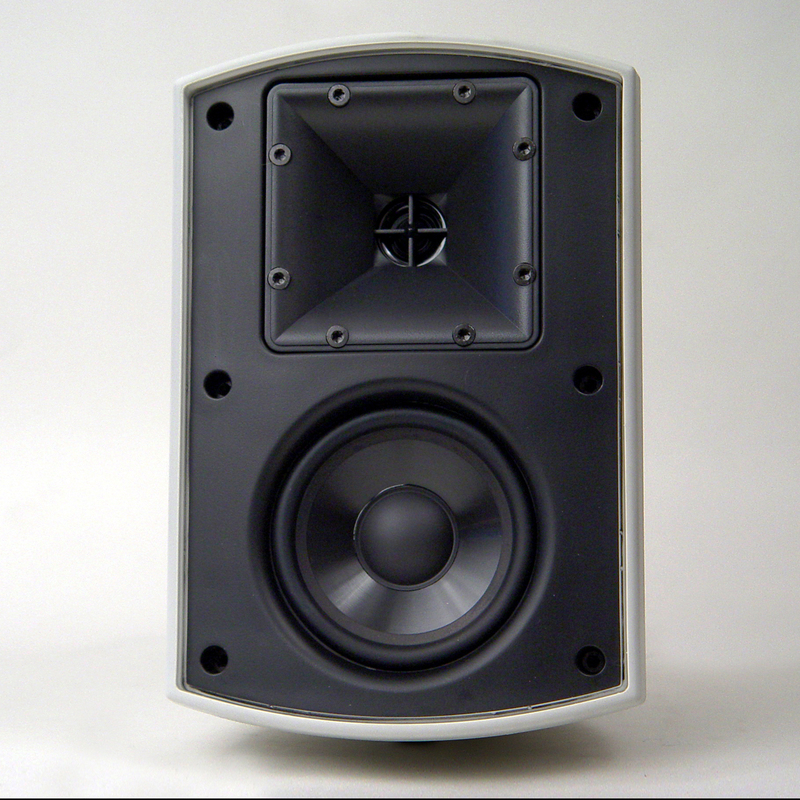 Utilizing proprietary Tractrix® Horn technology for unmatched clarity and detail and a premium, long-throw woofer the sound is rich and dynamic well beyond its compact size. 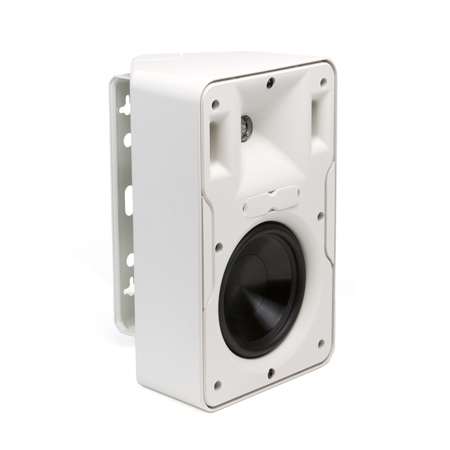 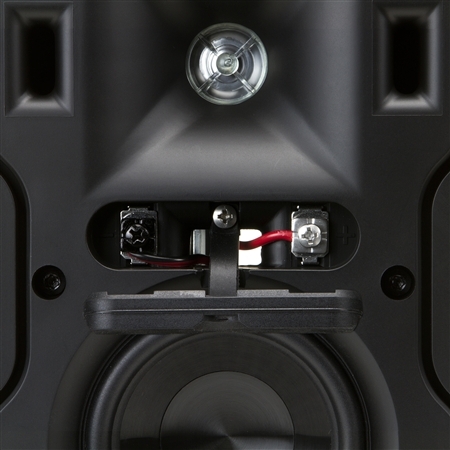 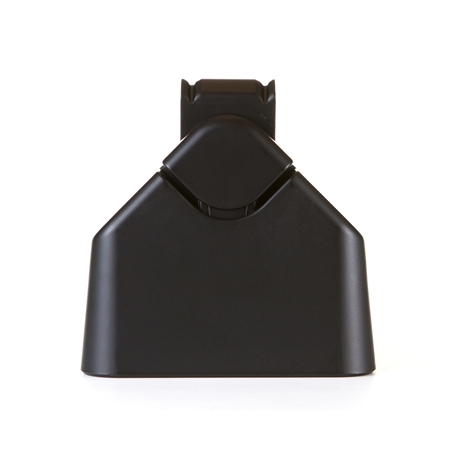 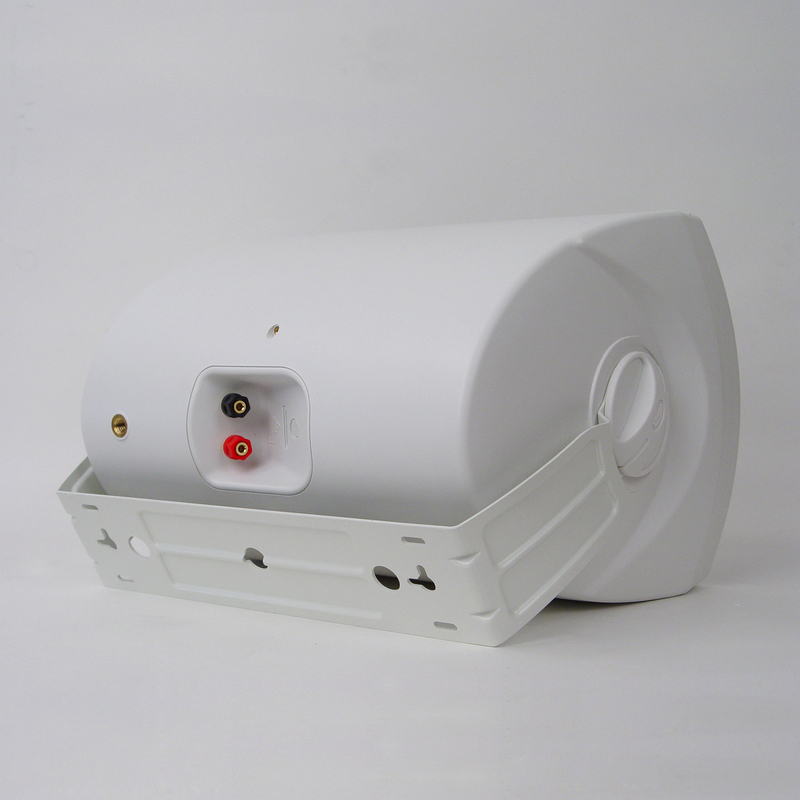 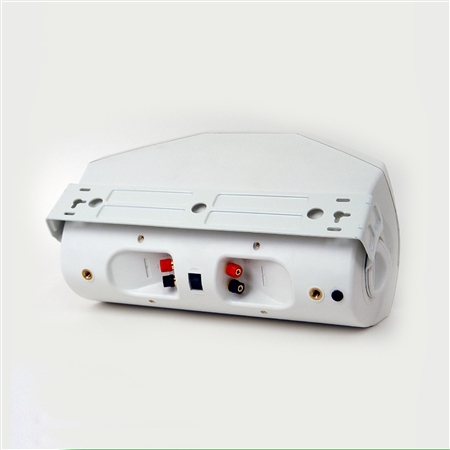 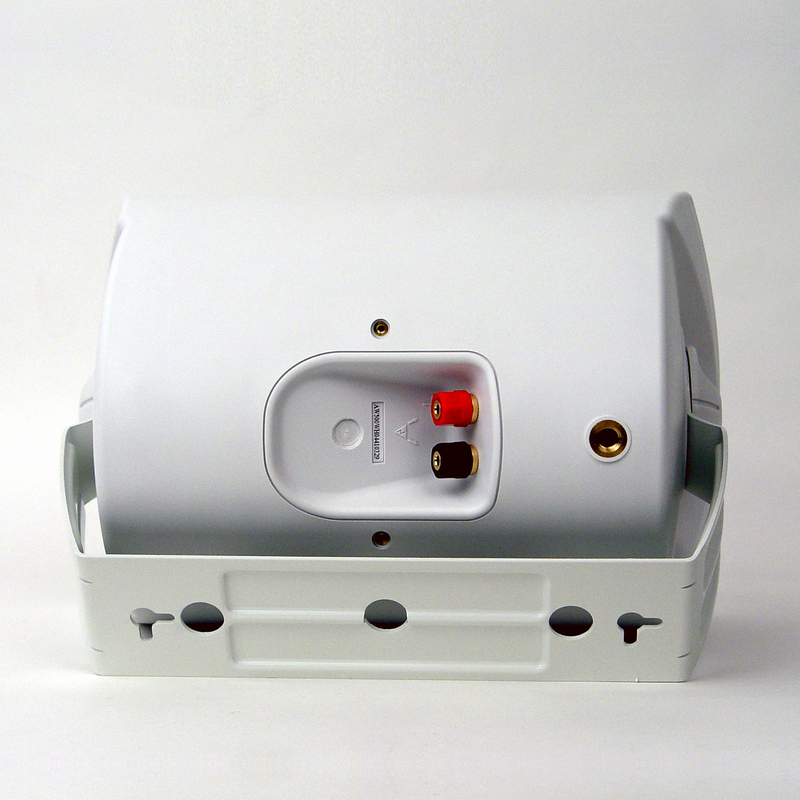 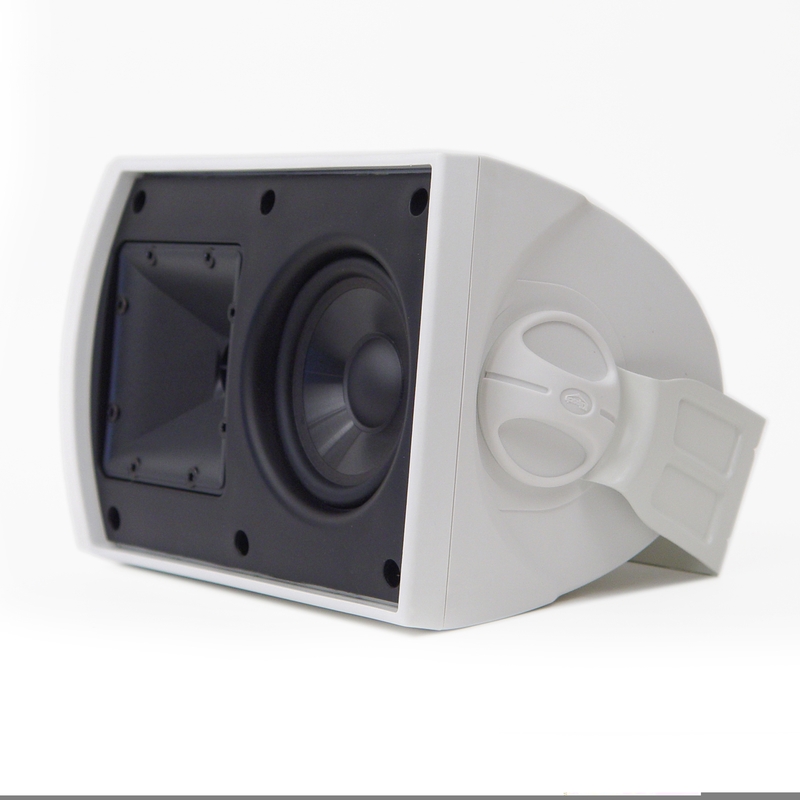 The new bracket design combined with front-access speaker terminals assures a clean, easy, one-screwdriver installation with the ability to tuck close in a corner for a custom look.